USA Best Book Awardwinner in Business: Writing/PublishingRelatable and hilarious, you will wear the pages of this book out. Who knew indie publishing could be this much fun? Whether you have published before or are contemplating your first book, Pamela Fagan Hutchins makes an overwhelming field manageable by presenting tried and true how-tos and a myriad of resources, including the marketing plan that got her debut novel national distribution - all with her tongue firmly planted in her cheek.˃˃˃ Other writers call Loser a winner. 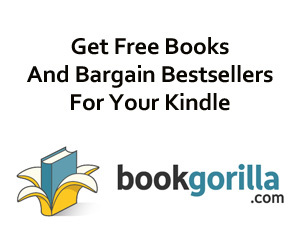 “Sharp, practical, and a pleasure to read, this is an indispensable tool for indie writers. Hutchins maps the shortest distance between you and your readers. You need this book!” - Mark Moore, writer and editor“Sassy, brassy, can-do voice. It’s very inspiring.” - Martin Turnbull, author of The Garden of Allah novels“Fabulous! Dozens and dozens of great suggestions and resources. 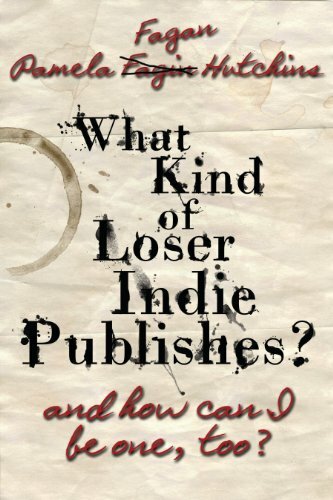 Indie writers are going to LOVE this book, not only for its insights, but for Pamela’s witty personality.” - Jennifer Meils, writer, editor, and journalism teacher“Loser is so packed full of useful, important information, it will become the Bible of indie publishing. Pamela's wit and humor shines throughout. Definitely a must-have for any author.” - Rhonda Erb, writer and editor ˃˃˃ See why Hutchins is called an "up and coming powerhouse writer" and "the Erma Bombeck of her generation. "Pamela Fagan Hutchins is an employment attorney and workplace investigator by day who writes award-winning and best-selling romantic mystery/suspense (Saving Grace, Leaving Annalise) and hilarious nonfiction (How to Screw Up Your Kids, What Kind of Loser Indie Publishes?) by night. In her spare time, she presides over the Houston Writers Guild, the premier writing organization in the nation's fourth largest city. She is passionate about great writing, her good looking husband-five offspring-four dogs-one duck-four goats-one heifer family, and smart authorpreneurship. She also leaps medium-tall buildings in a single bound, if she gets a good running start.Scroll up and grab a copy today. Summary & Analysis: The Upward Spiral By Alex Korb, PhD : Using Neuroscience to Reverse the Course of Depression, One Small Change at a Time. In Search of Truth: Five Stress-Free Steps to Discover Who You Are, Where You're Going, and How to Get There. Taming Wall Street: Capture the gains. Eliminate the losses.